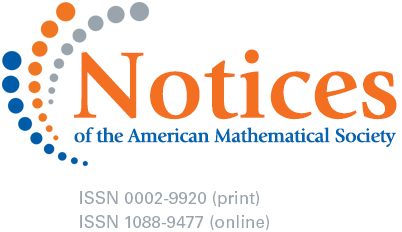 My first column appears in the February 2019 issue of the Notices of the American Mathematical Society. The article considers the mathematics literature from the perspective of Mathematical Reviews. Some themes that have appeared in this blog are covered in the article, but with more detail: the literature is growing; it is complicated; bibliometrics are not a panacea; the right way to understand the literature is to engage with it, preferably with the help of experts. The column is scheduled to appear quarterly. I am the Executive Editor of Mathematical Reviews. Previously, I was an editor for the AMS Book Program for 17 years. Before working for the AMS, I had an academic career working at Rice University, Oxford University, and Oklahoma State University. In 1990-91, I worked for Springer-Verlag in Heidelberg. My Ph.D. is from Harvard. I received a world-class liberal arts education as an undergraduate at Santa Clara University. This entry was posted in Short posts. Bookmark the permalink.